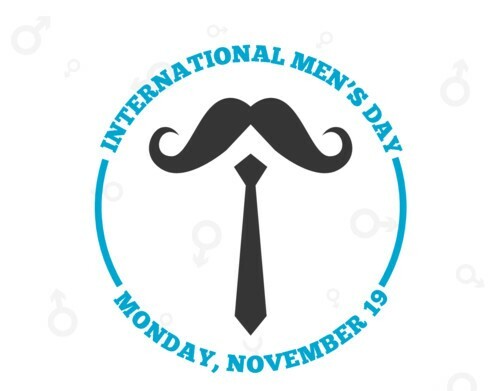 Monday the 19th of November marks International Men’s Day. Celebrating worldwide the positive value men bring to the world, their families and communities. Such a day is used to highlight positive role models and raise awareness of men’s well-being. Too often issues that surround men are shrugged off, mocking that every day is Men’s Day, when in reality men are far less likely to talk than women. Men can find it difficult to talk about how they are feeling which can have a serious impact on their mental health and wellbeing. The link between physical and mental health is particularly strong in men. Oregon state University did a study that found people who suffer from a physical health issue are more likely to seek mental health care. The connection between physical and mental health can have an influence on one and other, for example a person who suffers with depression can trigger a physical issue such as stroke or diabetes. As exercise is a natural mood booster and improves both physical and mental health, this is an excellent way to improve overall health. Although your male employees may appear fine from the outset all may not be as it looks. Taking note of your employees will help their wellness and overall health. Looking at statics surrounding men in our country, a simple pint on a Friday is simply not enough. To look after your employee wellness a deeper approach is needed. By helping them understand what it really means to be actively looking after their own overall wellbeing. By opening lines of communication and removing the gap between managers and employees, this will encourage your employees to talk and make them aware that speaking about there mental health is no longer a taboo subject. Men are far less likely to go to the doctor as a preventative and therefore when they do there is more likely going to be a serious condition. By providing regular health checks in the workplace, this will hopefully encourage men to go and result in absenteeism days reducing within your company. 3. Incorporate fitness into your workplace. Introduce a fitness regime into your workplace, be it football Friday or a walk to work scheme. By increasing employee fitness, mental and physical will see an increase. Looking at the wellbeing of men, it is important to look at the physical as well as mental health. In comparison to women, men live a shorter life and are more likely to suffer from certain illnesses. This is partly biological and partly down to the approach men view of their own wellbeing. The effects of living a healthier lifestyle can be echoed throughout overall health. By encouraging employee wellbeing, a positive effect will be seen throughout both the atmosphere of your workforce and their engagement.